News from Elon University and surrounding Alamance County. Writing the article regarding the GST proposal vote required more reporting than I had originally thought it would, but I subsequently learned a significant amount about how decisions like these are made at Elon and why some people are more willing to talk about them than others. It wasn’t until I learned how many years of work were put into the proposal that I realized how big of a vote this was, and the fact that it was put to a full faculty vote meant it was of extreme importance. Although I was hoping to attend the meeting during which the votes were cast, I was informed that the presence of a reporter might affect faculty participation in the discussion. It would have been helpful to see the specifics as to how the meeting was run, who participated in the discussion, etc. Instead, I knew that I would have to talk to faculty the following Monday. I wanted to get a range of faculty opinions on how they felt about the proposal being voted down, but getting clear answers from some faculty proved difficult. I was constantly re-directed to different people to talk to, and some simply said they didn’t want to comment. Although the majority of the faculty who participated in the vote voted the proposal down, no one I talked to would explicitly say they voted no. When it came to writing the story, it proved challenging to not have the story seem biased or one-sided because of the lack of sources I had that were against the proposal. No further discussion was held immediately after the vote, so my first follow-up story consisted of two students’ opinions on the result of the vote. I thought it was interesting that one of the students mentioned an over-arching concern regarding a lack of communication between faculty and students concerning these types of proposals/votes. I think it is true that many students did not know about the GST proposal, which is one of the reasons why I was happy I got to write about it for The Pendulum. I will be doing a second follow up for this weeks paper, which will include the specifics of what was discussed at various meetings following the vote. For more on this subject, check out this week’s issue of The Pendulum. While I was doing interviews for my story about the changes to SUB this week, I was surprised to learn how much work and planning goes into every SUB event. There are dozens of people involved in the organization. They had a bustling office when I visited them. PIT crew members now undergo weeks of training where they learn to work every type of event, although their hard work is invisible to most students. The SUB team seemed like a fun group of people to be around, and I’d highly recommend joining to anyone interested in event planning. One of SUB’s biggest annual events is the spring concert. I was interested in hearing from Amanda Long, the president of SUB, about the changes to the voting that students participate in to determine who the spring show will be. She said Elon students were upset when SUB wasn’t able to book the specific artist that a lot of students vote for. Not surprisingly, booking a big name artist to do a show is no easy task. The people in SUB have to work for months in advance to book an artist. This year the surveys for the spring show just asked students what genre they would like to have. The next time you are at a SUB event, remember that there are a lot of people working behind the scenes to make it a great experience. Want more information about SUB? Check out Nick’s article in the upcoming issue of The Pendulum. Don’t have time to read in-depth reports on the major news stories of the moment? Don’t fear! Check the News Blog every Sunday afternoon for a run-down of the top stories that matter to you and where to find out more information. Saudi Arabian women were granted the right to vote Sunday by King Abdullah in a move many say was prompted by the Arab Spring. Saudi women are not allowed to drive and do not have equal rights with men, but Abduallah’s decision also allows women to run for public office. It is unclear how many women will take advantage of their new freedoms, as they legally could be denied the opportunities by the men in their lives. The new law will take effect during the next nationwide local elections — in 2015. Palestinian president Mahmoud Abbas applied for Palestinian statehood and United Nations membership earlier this week amid cheers from many established UN members, despite the United States’ past promises to veto. Abbas said he wants Israel and Palestine to go back to the 1967 borders, but the Israeli government has not accepted the proposal. Sunday marked the last bullfight ever in Spain’s Catalonia region. While it is not banned in every region of Spain, many have protested, saying it is an attack on liberty. Anti-bullfight activists celebrated at the final fight, and Spain’s leading broadcaster already declared several months ago it would no longer air live bullfights because of the violence it demonstrated to children. Check back at elonpendulum.com this week to see a photo story about bullfighting in Madrid, Spain, by international correspondent Will Anderson. Two American hikers have finally returned to New York on Sunday after two years of detention in an Iranian prison. The two men, Joshua Fattal and Shane Bauer, were hiking in Iraq in July 2009 when they were detained by Iranian officials for illegally entering the country. Fellow hiker Sarah Shourd was also arrested, but was released last year. The two men were recently convicted of espionage on behalf of the American government, but they have claimed they were detained specifically because of their nationality and Iran’s poor relationship with the United States government. Both Fattal and Bauer have maintained claims of innocence, saying they never intended to cross the border, and did not do so, but will never know for sure whether they actually did. Made in a Free World has just released an iPhone app for individuals to track the amount of slave labor they support through their daily purchases. The app works based on lifestyle survey that takes inventory of an individual’s belongings and breaks each item down by the materials needed to make it. A pair of sneakers, for example, involves not only labor to put the product together but also labor to produce the cloth, plastic, rubber, metal and other raw materials used in manufacturing. The app is free in the iTunes store and so many people have attempted to access the site and take the survey that the organization’s servers have crashed, and are currently being upgraded to fifty times their size. Don’t forget to like us on Facebook, follow us on Twitter and look out for our next issue, hitting campus at a newsstand near you this Wednesday. This semester, The Pendulum will be working with a select group of international correspondents in study abroad programs all around the world to bring you first-hand accounts of the stories you would otherwise only find in major newspapers. From stories investigating culture and hard-news articles to photo stories of life abroad and the correspondents’ thoughts about their experiences, we’ll have you covered. We’ll even bring you the best recipes and travel tips. Once a week until school starts, check back here at the News Blog to see the thoughts of a new correspondent as he or she gets ready to embark on a new adventure. This week, read the story of Peter Gallagher, who left for Copenhagen, Denmark Aug. 20. Keep up with Peter and our other correspondent in Denmark, Kelly Huston, throughout the semester as they write about life in Copenhagen. To my own dismay, my Danish experience so far has consisted of the occasional consumption of Entenmann’s Danishes and nothing else. My lack of an understanding for the culture in Denmark is the main drive and force behind my desire to learn and experience Danish culture and society this fall. Until reading the description of the program on Elon’s study abroad website, I had never considered a Scandinavian country as my destination for studying aboard. But after exploring the Danish Institute for Study Abroad website and researching the programs it offered, my mind was set. As an Environmental Studies and Political Science double major, I feel that Copenhagen, Denmark, has the perfect combination of environmental awareness and governmental involvement for my academic interests. I have enrolled in the “Sustainability in Europe” program, with my core class revolving around sustainable development and exploring environmental, political and social issues. Taking classes relating to the processes and goals of sustainable development while studying in one of the most environmentally advanced cities in the world seems like a combination that can’t be beat. Being enrolled in two political science courses should also be very interesting, as Denmark has a very liberal and socially involved central government. Along with my courses and academic learning experiences inside and outside the classroom, Copenhagen offers a wide variety of opportunities. I hope to be living with a host family for the semester, and this immersion into all aspects of Danish culture is both unsettling and exciting. Having the chance to truly be a part of a completely different family, thousands of miles away from my own, will hopefully allow me to look at different cultures and lifestyles in a new light. I am also excited to explore the history of Copenhagen. As a correspondent, my hope is for Elon students to stay up-to-date on international news and to be able to draw parallels with American culture and their own lives in the United States. As Denmark is one of the most peaceful countries in the world, and its people are considered some of the happiest, my time abroad gives me a terrific educational opportunity which I hope to share with others. By the end of the semester, I hope to be knowledgeable and understanding of Danish culture, and I hope that when Elon students hear the word “Danish,” their immediate thoughts are not of stale Entenmann’s but of a remarkable Scandinavian country. This semester, The Pendulum will be working with a select group of international correspondents in study abroad programs all around the world to bring you first-hand accounts of the stories you would otherwise only find in major newspapers. From stories investigating culture and hard-news articles to photo stories of life abroad and the correspondents’ thoughts about their experiences, we’ll have you covered. We’ll even bring you the best recipes. Once a week until school starts, check back here at the News Blog to see the thoughts of a new correspondent as he or she gets ready to embark on a new adventure. 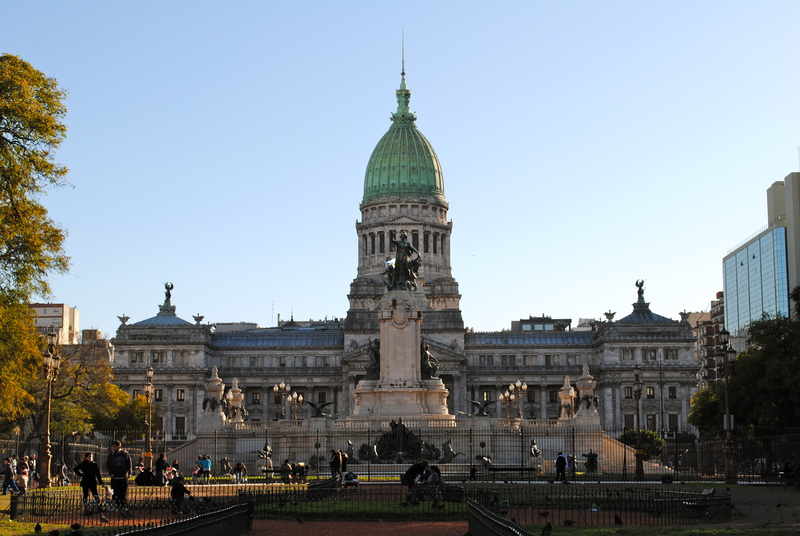 Argentine Congress in Buenos Aires. Photo by Genevieve D'Cruz. I knew since age 15 that Buenos Aires, Argentina was going to be the place I would study abroad in college. Applying to universities without a Buenos Aires program was not even an option on college visits. I was, and still am, intrigued by the political, social, and cultural history of the country. The Dirty War is one of my favorite subjects to learn about to date. Now that I am finally here, I am more than ready to dive into what this country has to offer. As I chronicle my journey throughout my stay in Buenos Aires, I plan to go to as many museums as I can, and talk to as many locals as possible. Through my correspondence with the Pendulum, Elon students will be able to learn a little more about the issues and events going on in Argentina today. I hope to write about the Mothers of the Plaza de Mayo (Las Madres de la Plaza de Mayo), a group of mothers and grandmothers who march in the Plaza de Mayo every Thursday in protest to government officials kidnapping their children and grandchildren (Los Desaparecidos) in the 1970s. Argentina’s presidential elections will be taking place in October 2011 and I hope to capture different views and opinions on the various Argentine presidential candidates by conversing with locals and photographing grafitti and ad campaigns around Buenos Aires. The social and cultural background of the country are perhaps the most influential in terms of shaping the societal norms of Argentina and as culture and society are what most significantly affect people, I intend to explore the numerous social and cultural customs and define this beautiful country. Keep an eye out early this semester for a photo story Genevieve is currently compiling about the election campaigns in Argentina. The Pendulum Goes Abroad: Ecuador – Fact or fiction? 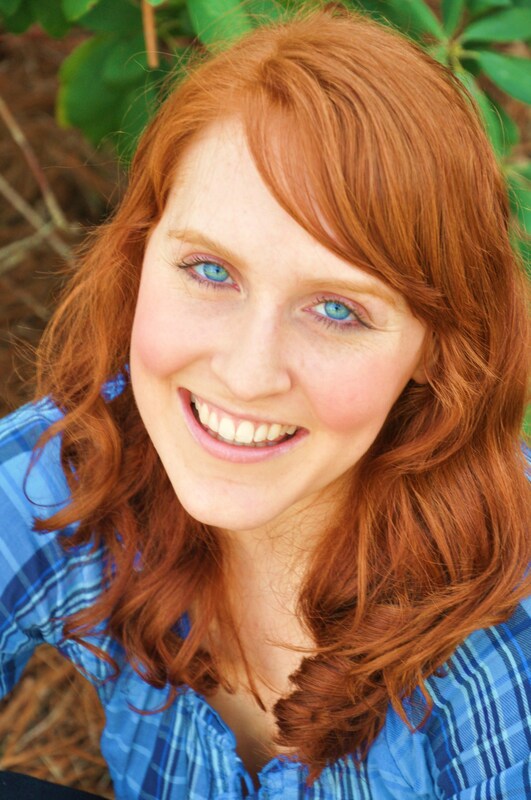 This week, read the story of Katie Moran, a music theatre major headed to Quito, Ecuador Aug. 16. Katie Moran. Photo courtesy of Moran. Ecuador is not your average travel destination among college students and those wishing to study abroad. In fact, more often than not, people give me puzzled looks or ask me to repeat myself when I tell them I’m spending my next semester in Quito. So why did I choose Ecuador of all places? To be honest, I don’t know. Before applying to the program, I had no previous knowledge of the country aside from the fact that they speak Spanish. But that’s the beauty of studying abroad in my opinion. I wanted to go someplace that I could have no preconceived notions about, and Ecuador is full of mysteries to me. Having the summer to plan and prepare for the upcoming semester has proved both exciting and detrimental to my sanity. With all the free time at home, my imagination and curiosity has run wild at the thought of my new host family, the university, taking all my classes in Spanish and the culture shock that comes with living abroad. To say that I am nervous is an understatement. But I fully believe that we must do things that scare us. For me, it’s studying abroad and trying to communicate in a foreign language. For others, it may be sky-diving or eating alligator. I think it’s so important to have as many adventures and experiences as possible in order to be the best version of ourselves that we can be, which is why I welcome this next semester as an exciting change of scenery and point of view. Luckily, I am no stranger to travel, as my family moved to England when I was twelve. But the idea of going to the equator alone is definitely scary. Thankfully, one other Elon student is also venturing there as well, but since the program is small, I feel confident we will get an authentic experience far different from my days in jolly old England. I’m so intrigued by the differences and similarities in culture and relationships. While I’m in Quito, I want to write about the relevance and importance of family, the experience of holidays, celebrations and traditions and how Ecuador views the United States in terms of our politics and reputation–they are the only country in South America that uses the U.S. dollar, and I’m interested in learning more about the relationship between the two countries. Overall, I plan to relay the essence of Ecuadorian life through my articles during the next few months, and I could not be more excited. I hope my accounts inspire others to seek that which they are intrigued and afraid of. I hope there are fascinating parallels between Ecuadorian students and ourselves and I hope Quito is as wildly enticing to you as it is to me. Everyone’s done for the semester and it’s time for new jobs, new cities, new friends and new news. Instead of the regular, weekly Sunday Sweep, this summer we’ll be posting twice monthly “cheat sheets” that span multiple topics in the news instead of just one. For daily updates delivered right to your inbox, consider signing up for the Daily Beast’s Cheat Sheet or New York Times news alerts. Here are five of the top stories in the news right now – what you need to know, when you need to know it, where to look to know more. Rupert Murdoch at Parliament. Photo courtesy of News in a Box.net. 1. UK PHONE HACKING SCANDAL—It was recently discovered that The News of the World, a British tabloid operated by Rupert Murdoch’s NewsCorp empire, paid private investigators to hack into the voicemail accounts of private citizens. One of the first victims to emerge from the scandal was Milly Dowler, a 13-year-old British girl who was found murdered months after her disappearance in 2002. Many were revolted to find that hackers deleted several of Dowler’s voice messages in order to make room for new ones as the account filled up, giving her parents false hope that she was alive. But as investigations delved deeper into what quickly fueled public outrage, it was discovered that victims of the terrorist attacks on September 11 and the 7-7 bombings in London were also subjected to voice mail hacking. More than two weeks after the first details were broken by the news media, what is now being called a crisis has yet to cease . Despite retiring NOTW at the age of 168, with its last issue printed shortly after the realization the Dowler hacking was not an isolated incident, Murdoch and his son, James, answered to Parliament Tuesday about his newspaper’s tactics, which may have been used by other news organizations in his empire as well. During the testimony, a man attacked Rupert with a shaving cream pie.Rebekah Brooks, former chief executive of News International and then-editor of NOTW, resigned Friday and was arrested Sunday shortly before the resignation of London’s police chief. Evidence suggests the authorities were not entirely ignorant of NOTW’s tactics and a second “top cop” has also resigned. Later released, Brooks accompanied the Murdochs at Parliament. As the breadth of the scandal continues to expand, it brings serious questions about the honesty and integrity of British journalism and Murdoch’s empire. In yet another twist, one of the first whistleblowers of the scandal was found dead Monday. Authorities say the death is unexplained but not suspicious. If this all seems a little overwhelming to you, check out a timeline of the phone hacking scandal compiled by Al Jazeera, starting in 2005. If this is the first you’re hearing of the scandal, watch as The Daily Show’s John Oliver summarizes the aspects that have most angered the British public. Photo courtesy of the New York Times. 2. DEBT CEILING–As August 2nd looms nearer and the United States runs the risk of running out of money to pay its bills, politicians in Washington continue to squabble over the details of legislation that would prevent the United States from defaulting on its loans and other financial obligations. Although the debt ceiling, a limit to how much the United States is allowed to borrow from bond holders and foreign lenders, has been raised dozens of times in previous years, this time it has been turned into a battle of political ideologies, with neither side playing very well with the other. While some believe the debt talks are political theater as the country enters an election year, despite claims default would mean instant economic collapse, Congress’ recess is being held hostage until an agreement is reached. Democrats say they want to increase revenue by eliminating loopholes in the tax code that give tax breaks to corporations and the wealthiest American individuals, but many Republicans are refusing to consider any kind of revenue increases. Similarly, Republicans say they want to cut spending by reducing waste in programs like Social Security, but Democrats are adamant that entitlement programs remain untouched. 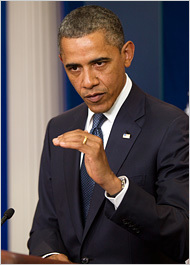 President Obama and his press secretary, Jay Carney, have held numerous press conferences in the past couple of weeks to update the American people on the progress that has been made, but reaching a “grand bargain” deal that effectively cuts spending while increasing revenue and still manages to please everyone in Congress is looking less likely as Washington scrambles for a “fail safe” option. Senator Mitch McConnell has proposed one plan, albeit unpopular, that would give the president the right to request a debt ceiling increase, Congress the right to deny his request, and Obama the ability to veto their refusal, effectively raising the debt ceiling without technically having Republican support. House Republicans passed a bill Tuesday that would create a “balanced budget” constitutional amendment, but Obama has vowed to veto the bill because of certain spending cuts, should it pass the Senate, which is unlikely. Sudanese borders. Photo courtesy of al Jazeera English. 3. MIDDLE EAST AND NORTH AFRICA—As violence in Libya and Syria continues to claim the lives of many innocent civilians, the United States has spoken out against both governments. In Istanbul, Turkey, Secretary of State Hillary Clinton announced the United States’ recognition of the Libyan rebels as the legitimate governing authority in Libya, further emphasizing the need for Col. Muammar Qaddafi to step down. Following an attack on the U.S. embassy in Damascus, Syria, Clinton also issued a strong statement that Bashar al Assad, the Syrian president, is “not indispensable,” encouraging him to end the violence in his nation and step down. 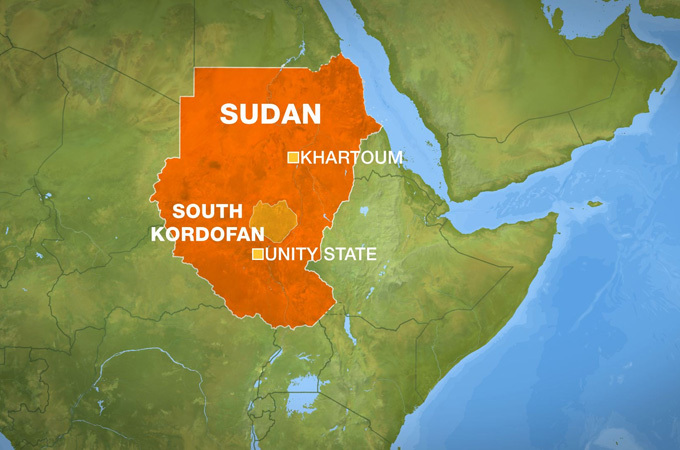 Sudan has also recently split into two nations following a years-long civil war which is not yet over. Despite the creation of South Sudan to quell the fighting, reports of mass murder and war crimes in the border region of South Kordofan are evoking international scrutiny and a potential UN investigation. 4. HARRY POTTER—For many who grew up with the wizard boy, the opening of the last Harry Potter movie, Harry Potter and the Deathly Hallows Part 2, marks the depressing end to a beloved era. But for Warner Bros and J.K. Rowling, the movie marks record-shattering earnings in its midnight showing and opening weekend. Check out a NY Times review of the movie if you haven’t seen it yet and watch Jon Stewart interview Danielle Radcliffe on Monday’s edition of The Daily Show. If you’re willing to poke a little fun at yourself for being a die-hard fan, take a look at The Onion’s comical account of the final ten minutes of the final movie being split into 7 separate films. 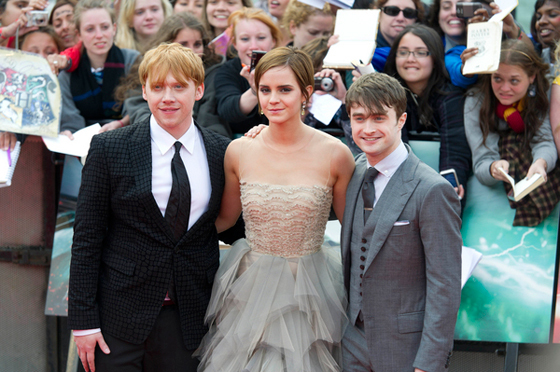 For a few more laughs, take a look at their archive of Harry Potter coverage. Also be advised that Rupert Murdoch is staging a takeover of The Daily Prophet, according to Slate. 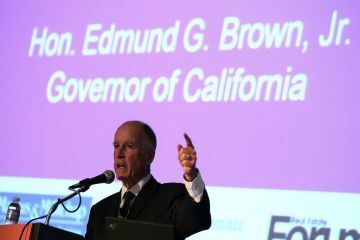 Jerry Brown, governor of California, signed the bill into law. Photo courtesy of globalpost.com. 5. LGBT HISTORY–A law has been passed in California to require LGBT history to be taught in public schools. Information must be added to the textbooks, much to the dismay of opponents who threaten to pull their children out of public school because of promoting a “homosexual worldview.” Proponents of the law, which requires schools take action by 2013, say it is a step in the right direction to prevent LGBT students from feeling abnormal and estranged from their peers. Don’t forget to like us on Facebook, follow us on Twitter and look out for our first issue of the fall semester, hitting campus during move-in weekend.